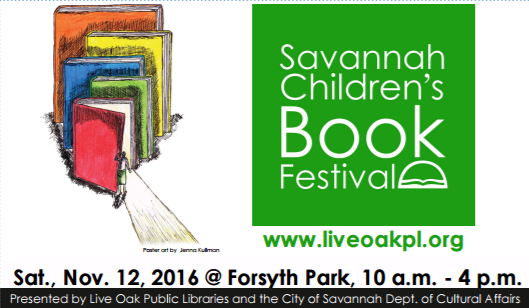 Roy and Monica participated in the Savannah Children’s Book Festival as part of the Coastal Writers Group on Saturday, November 12th 2016 in beautiful Forsyth Park. In addition to featuring the titles ‘A Beautiful Melody’ and the ‘Legend of Tai & Burung Elang’, Roy and Monica debuted the latest addition to the Empowerment Series for Children titled ‘The Parts of A Mother’s Love’. ‘The Parts of A Mother’s Love’ is a celebration of the bond between a Mother and her Son in which the reader is invited to be part of a conversation in which the Mother and Son talk about their lasting love and affection for each other. The son shares with his Mother all the ways in which she has affected him as he grew up. In turn, the Mother shares with her Son what the whole experience of being his Mom has been like from the very beginning to the time at which they are having this conversation… the occasion of his 18th birthday! The ‘Parts of A Mother’s Love’ is currently available in paperback and will soon be available as an eBook. If you would like to purchase a copy in paperback, please send us a request email at info@figtreeenterprises.com. 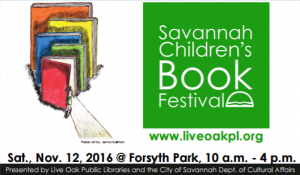 Roy and Monica will be participating in the Savannah Children’s Book Festival as part of the Coastal Writers Group on Saturday November 15th 2014 in Forsyth Park where they will feature their children’s titles “A Beautiful Melody” and “The Legend of Tai and Burung Elang”. Click here to see images of this year event. Roy and Monica participated in the Savannah Children’s Book Festival as part of the Coastal Writers Group on Saturday November 16th 2013 in Forsyth Park. Kailey, from the charitable organization ‘Books for Missionary Kids’, posted a video of her amazing experience while attending the Savannah Children’s Book Festival 2013. Check out the video and catch a glimpse of Roy, Monica, & Trei at time stamp 2:57 of the video…enjoy!